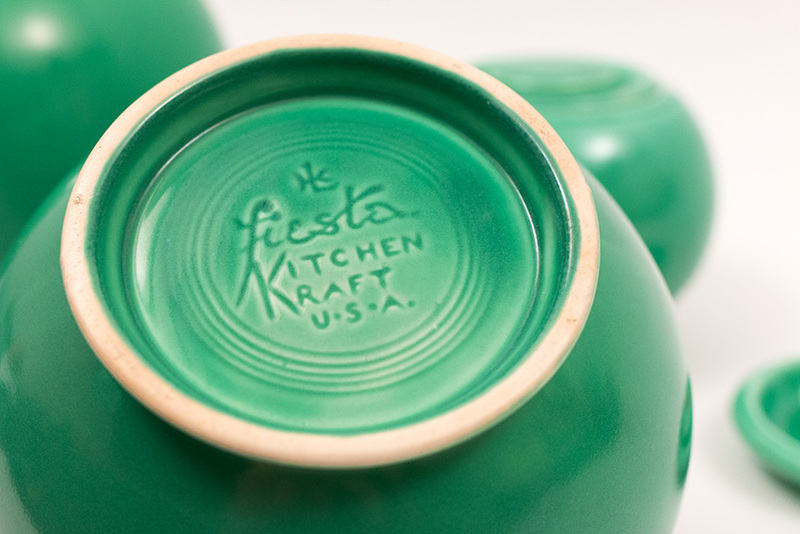 Circa 1938-1943: Medium—With only 21 items in the Vintage Fiesta Kitchen Kraft line the ball jars are among the most desirable. 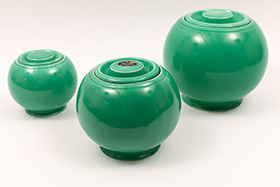 A real treat is to complete a collection of all three sizes or all twelve if you have the ambition. 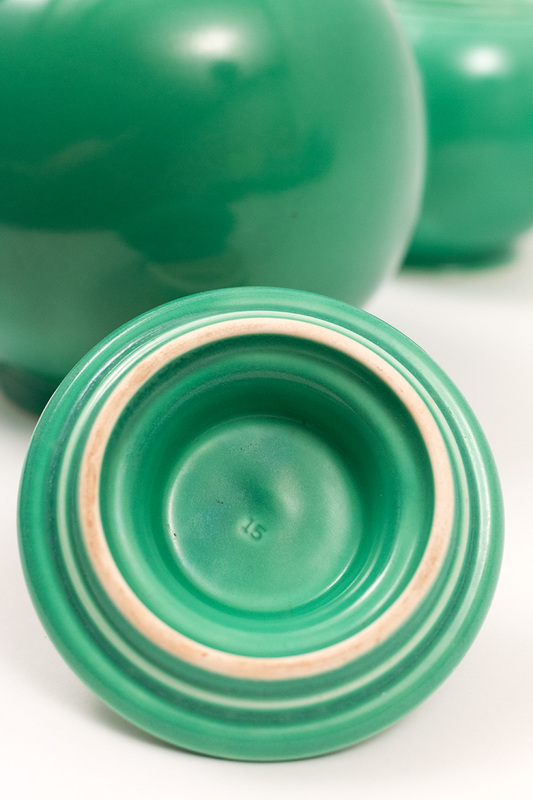 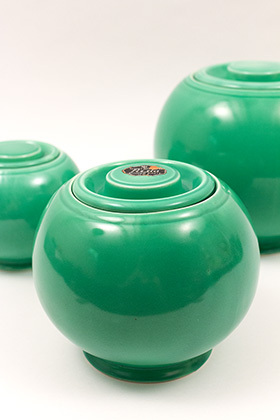 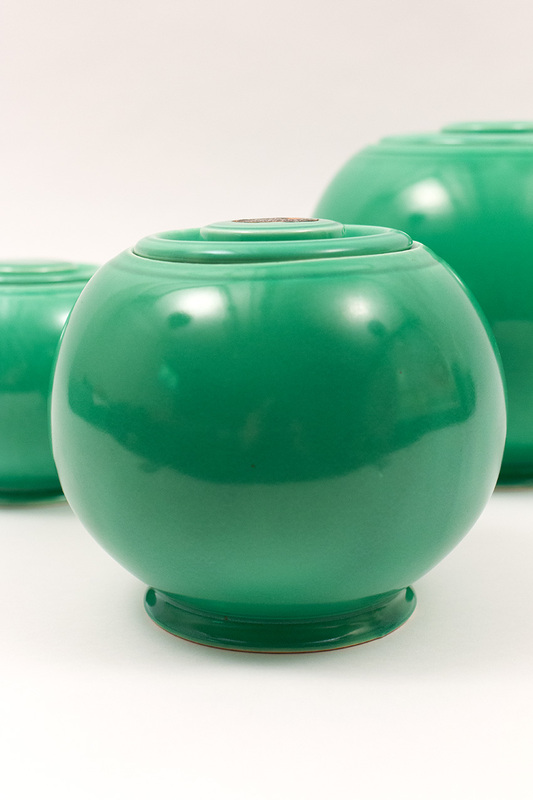 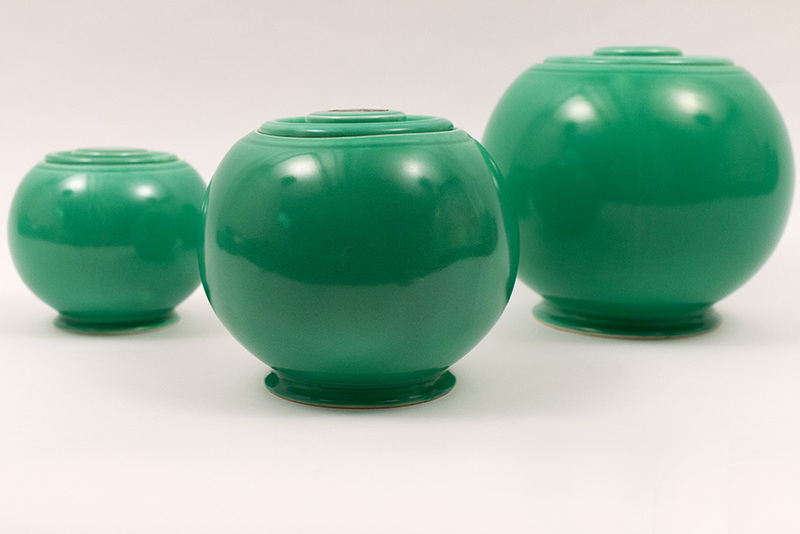 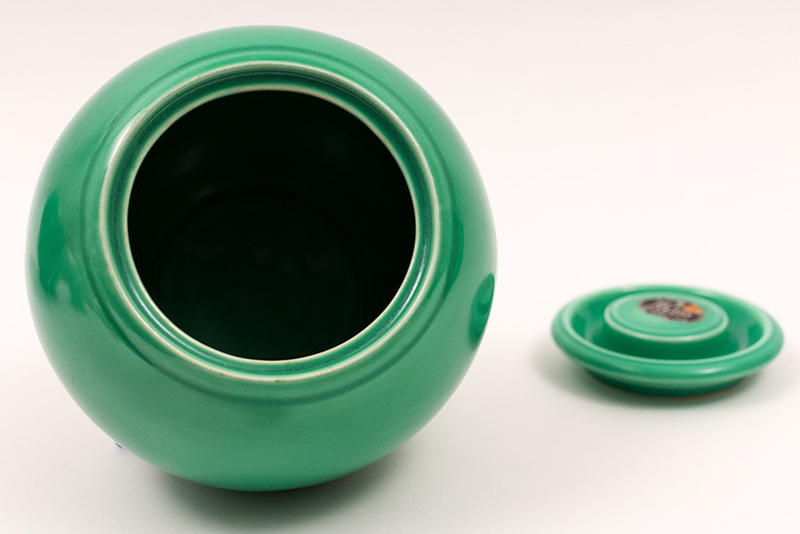 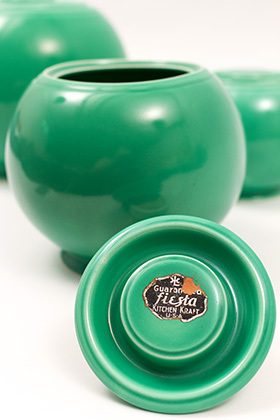 This example of the medium sized covered jar in original green is in excellent condition without damage or use. 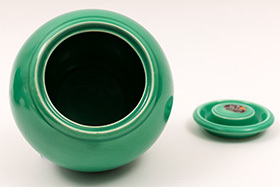 6 1/4" tall, the wonderful simplicity of the ball shape mirrors other pieces like the salt shakers. 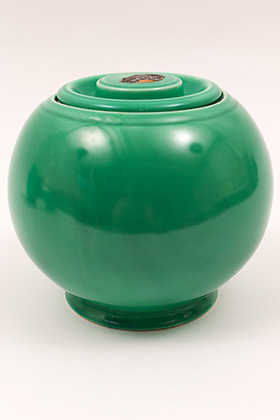 The lids are notoriously known to be difficult to grasp and hard to handle, making this piece a rare survivor. 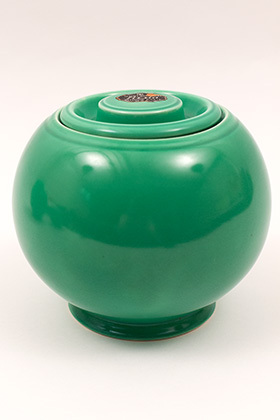 To find a ball jar without damage and minimal if any factory imperfections is a great joy. Measures 6 1/4"h x 7"w. Lid is 4 1/4"w and is in excellent unused condition with the partial label as found. Marked in the mold on the bottom "HLC fiesta MADE IN U.S.A."